Baking and Christmas go hand in hand in our household. Whether it is our tradition of Christmas Eve baking, or baking gifts for the School Fayre your friends and relatives, December is not complete without the smell of something yummy baking. These Cranberry and White Chocolate Cookies are so easy to make, they taste divine, and they are the perfect cookie to bake with the kids or give as gifts. Simply wrap 3 or 4 cookies up, or tie with festive ribbon and hand out to teachers, party hosts and anyone else who deserves a treat. 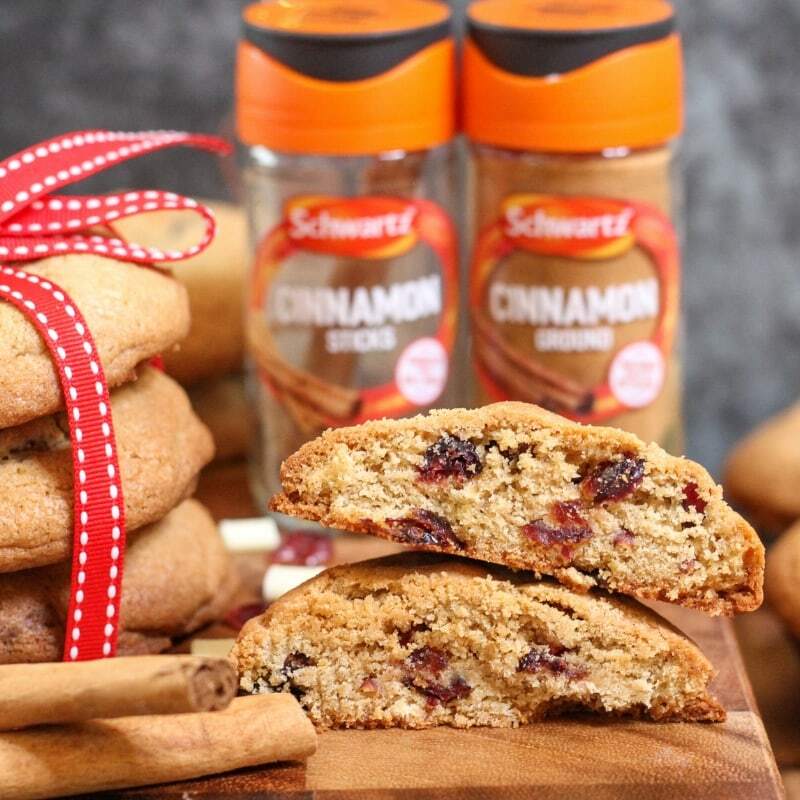 The Schwartz Cinnamon adds a touch of spice to these luxurious cookies, turning them into a really simple but mouth-watering Christmas masterpiece. 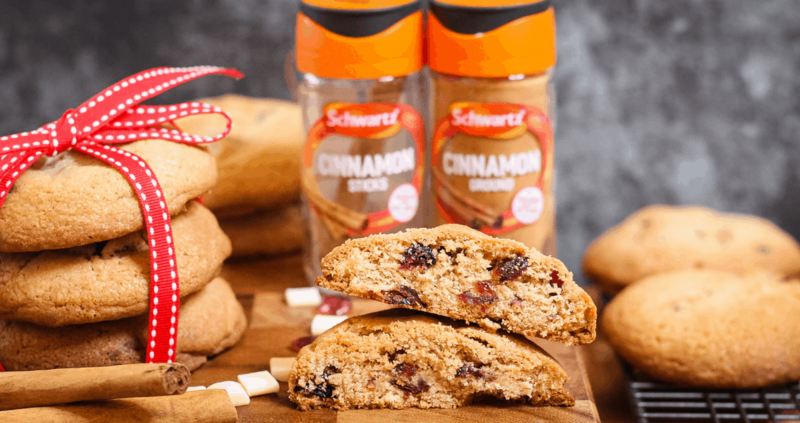 Daddy Cooks Food and I have partnered with Schwartz to bring you some delicious and easy Christmas recipes to make your holidays stress-free and delicious. Check them out on the Schwartz website here. Look out for more recipes soon. Pre-heat the oven to 170ºC, 325ºC in a fan oven, 338ºF, Gas Mark 3. Prepare 4 non-stick baking trays by greasing or using baking paper. You could use 2 trays and reuse them. Cream the butter and both types of sugar together in a stand mixer/with an electric whisk. Break in the eggs, add the vanilla essence and mix thoroughly. In a separate bowl, add the flour, Salt, Cinnamon and bicarbonate of soda. Sift the dry mixture into the wet mixture, a little at a time, until all has been incorporated and a dough begins to form. Lastly, add the cranberries and chocolate chips. Divide the dough into 20 equal balls of around 2 tablespoons each. The dough will be quite wet but that is okay. Place 5 balls on each tray, leaving ample space for them to spread. Place the first batch in the oven and bake for 15-20 minutes or until the cookies are a light golden on top. After ten minutes, remove to a wire rack to cool completely. Meanwhile, bake the second batch of cookies. These cookies make for a delicious treat any time of year but they are particularly fun to bake with the kids during the Christmas period. 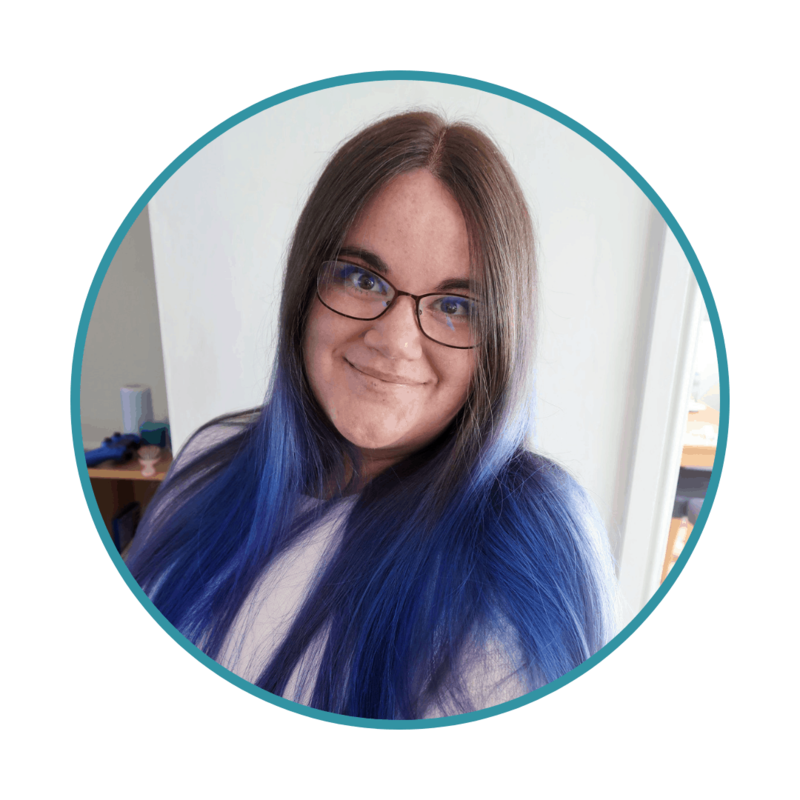 The cinnamon and cranberries fill the house with delicious festive smells and they also make a really personal and thoughtful gifts and donations to Christmas raffles and parties. For more great food, check out our recipes section. Please note, this post is a paid partnership with Schwartz and Daddy Cooks Food. For more information please see our Disclosure Policy. Oh these look so good, I always use Schwartz when baking, there really is nothing else that comes close! Wow they look delicious, thanks for the recipe!